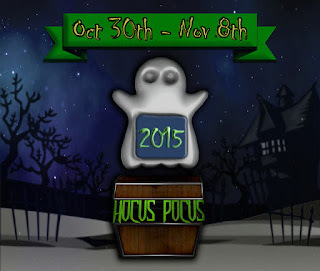 The first round of Hocus Pocus 2015 has begun!!! I think the idea of this event is pretty neat! You go to a specified list of stores and look for the little ghost and his box. You then say "hocus pocus" in main chat, and if you're lucky, the ghost will give you the gift of whatever he is hoarding! If you're not so lucky, he'll tell you that you can try again tomorrow. If you are too impatient to wait, you can buy the item from him for only L$50! Click here to pickup the event HUD on the Marketplace, or grab one in my shop! I was working on my item, but at the last minute I changed my mind and started something new lol. But I tell you, I am glad that I did! Behold! 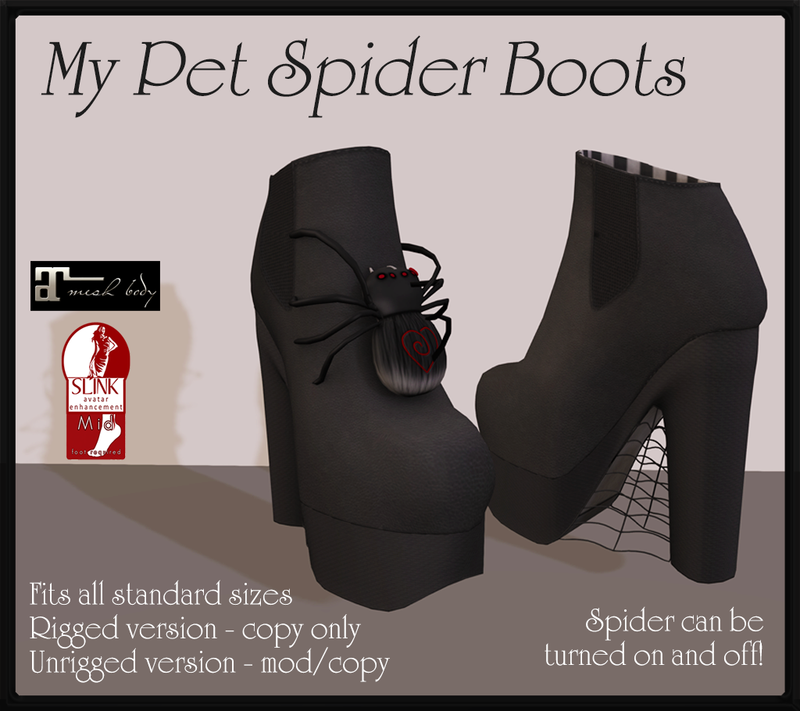 My Pet Spider Boots! They come in a universal rigged size, which means that they will fit all standard sizes as well as the Slink and Maitreya bodies (and others, I'm sure), as well as a regular unrigged pair which you may need an ankle locking script (not included) to wear properly. Also included is a HUD so that you can wear the boots with or without the spider! The webbing stays put though. 100% original mesh, and available NOW!